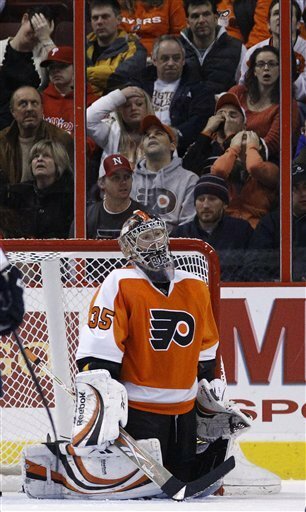 Flyers lost to the Florida Panthers 0-5 last night. Doesn't it warm your heart? Thought I'd just lay that out there. Now onto our game last weekend. So it's Tuesday, three painful days after our Boys in Blue lost to the Philadelphia Flyers, 1-4 and it's been enough time to digest and accept what happened last Saturday in Filthy-delphia at the Wells Fargo Center. If you're looking for stats and who scored and who didn't, today you won't find it here, because I don't want to re-live it over and over -- but there are recaps of the game here, here and here. "There's a reason why the Flyers have the best record in the NHL, and they showed it. But the Rangers were in a one-goal game until the final 10 minutes and had great stretches of sustained pressure that often left the league's top team scrambling." "You win some and you lose some, but the Flyers somehow know how to push the right buttons the last couple of seasons when they play the Rangers. It doesn't matter the standings when the Blueshirts play the Flyers -- it always carries high emotions and the games always build & destroy confidence. For some reason on Saturday, we forgot to show up." Even though our current team is much deeper than previous seasons, it is hard to match the firepower and depth of the Flyers - Saturday's game validated this and I simply hate them more than I ever have. The game sucked and the Rangers never had a shot, as Philly controlled the neutral zone, had better goaltending in Brian Boucher, and dominated our zone well throughout the three periods. 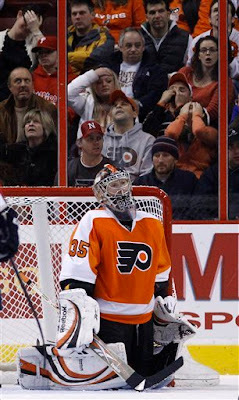 Though, if it weren't for a lucky questionable goalie-interference call and Lundquvist in net, the score might have resembled a Flyers/Rangers match one year ago, another much larger embarrassment against the Flyers. Confidence and momentum can carry a team well into the playoffs and win a Cup (look at the Flyers last season, oh...right....they didn't win the Cup), and it's vital for Coach Torts to instill that confidence within the locker room after three-big-wins last week and excuse the Philly anomaly as a fluke - if that's possible. Without Ryan Callahan leading the young'ens and now out for the next 4 to 5 weeks with a broken hand, Torts needs to call on the vets to take them on the same journey and rely on them - just as the young ones have done over the last ten games. Marian Gaborik has been the invisible man the last three games and he knows what he needs to do. With Chris Drury back in action, he is an essential piece of this equation and will lead by example (10 bucks he breaks another finger against Tampa on Thursday!!?). The return of Vinny Prospal (out injured all season, thus far) is anticipated to return soon, which should (on paper) make Gaborik look good again. 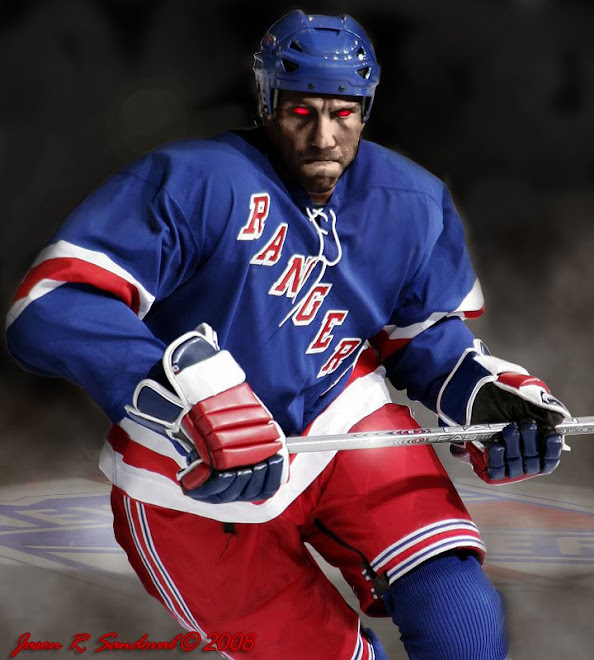 The realities of a faster game in the entire NHL and the ensuing injuries is more obvious to the Rangers this year. Drury, Gaborik, Prospal, Callahan, Boogard, etc. have all sustained prolonged injuries that have effected the team - and ironically, sometimes for the best. 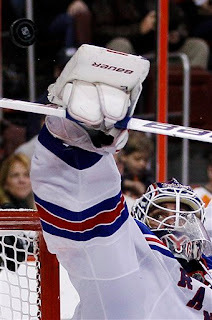 The Rangers are the "Broadway's Spiderman" in hockey - injury prone and still moving forward. This level of injury was bound to happen, especially for playing Tort's unforgiving game of "grit & hit" - but I have to admit that I'm enjoying this season; the chemistry between young players that 'want to win' has always been entertaining to watch. There is a consistency to their game, and Tortorella is relying on whoever brings the most to the ice. At the start of the season when our marquee stars were sitting in the stands, we all witnessed a blossoming of the '20-something young' that was promised to us in the off-season - echoes of Torts numerously quoted as touting "The Youth Will Be Served." But without Cally now (pretending to be Chris Drury) on the ice, it will be up to that youth movement (Prust, Dubinsky, Boyle, Avery, Girardi, Staal) to rebound and show the surging Tampa Bay Lightning on Thursday that they are still a threat. We forge ahead, brush off a fluke win in Philadelphia and look forward to the Parade (or is that in Toronto? ).